If you pass through terminal 2E of Paris CDG airport, do not miss in «Espace Musée», a museum dedicated to art within the airport. 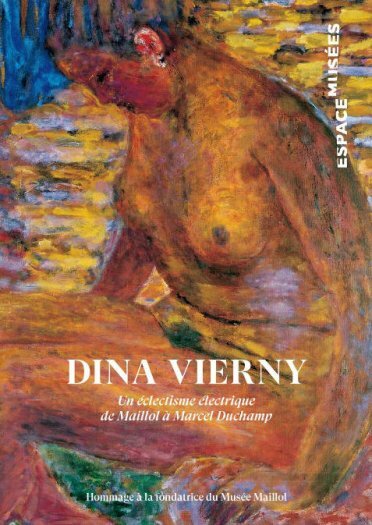 Visit this free exhibition dedicated to the centenary of the birth of Dina Vierny. This woman was initially a model and then a collector and an eclectic galerist. From the age of 15, she posed for Aristide Maillol and became his model and his inspiring muse for 10 years until he died. With him, she met other artists like Henri Matisse, Pierre Bonnard or Raoul Dufy. In the 50s, she opened an art gallery and, a few years later, she created her foundation and Maillol museum. The exhibition proposes to rediscover 20 art works by Maillol, Bonnard, Matisse, Duffy, Rodin, Seraphine de Senlis, Kandinsky, Poliakoff, Couturier, Villon, Duchamp. Consult our list of hotels of all categories and prices close to Paris CDG Airport. You can also rent an apartment for a short time : appart’hotels.